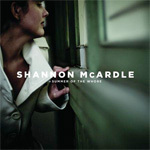 Considering that Shannon McArdle’s solo debut came relatively hot on the heels of the dissolution of both her band – The Mendoza Line – and her marriage to said band’s principal songwriter Tim Bracey, it’d have been reasonable to expect it to be damaged in tenor at the very least. And it is, absolutely, running the emotional gamut from anger to resentment to guilt, but the prevailing tone is resignment. Such a musical trip could and should be draining – particularly one delivered in as raw and direct a lyrical manner as this one – but dressed as it is in surprisingly rich country-pop trappings and delivered in McArdle’s breathy, downcast twang, it’s also eminently listenable. The growth in songwriting and confidence that McArdle demonstrated with each subsequent Mendoza Line release continues uninterrupted here – here’s hoping for her sake that next time out, she doesn’t need to look quite so close to home for inspiration. The Village Voice and PopMatters discuss the difficult year that led to the record with McArdle. 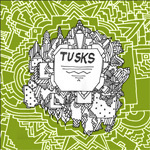 With a lineup that can boast tours of duty in such veteran acts as Kepler, Snailhouse, Wooden Stars and HILOTRONS amongst others, calling Tusks a new act is a trifle misleading, but after kicking around the Toronto scene for some years, this six-song EP is their first recorded statement. The collective experience and maturity of all the players is evident throughout – the songwriting is sophisticated in the way that only artists who’ve been around for a while know how to do and the musicianship does an impressive job of maintaining some pop-friendly simplicity while still indulging its more cerebral, exploratory inclinations. Is it uncool to name-check Steely Dan? I hope not, cause I just did.